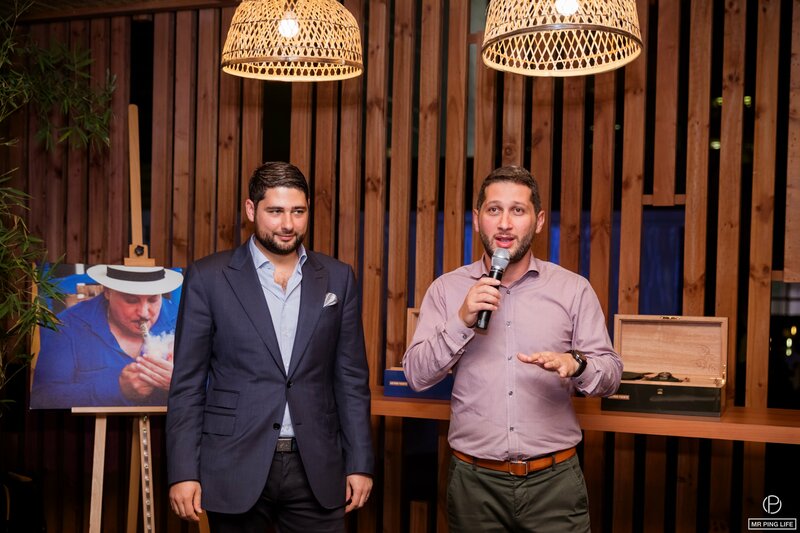 The Mr. Ping Life Cigar World Tour kicked off its Dubai Watch Week Edition on November 17 with “The Art of Fusion” brand Hublot, in a fusion of time, cigars and good company, in the presence of members of the Seddiqi family, and Regional Director of Hublot MEA Marco Tedeschi, and in collaboration with one of the region’s top horology print titles, Day&Night magazine. The Caribbean-themed evening at DWW’s Citizen Kafé brought together cigar aficionados, watch collectors and friends traveling in from all around the region and Europe, to discover the new Hublot Classic Fusion Fuente Limited Edition watches while enjoying Arturo Fuente Opus X Destino al Siglo Lanceros and OpusX Angel’s Share cigars. 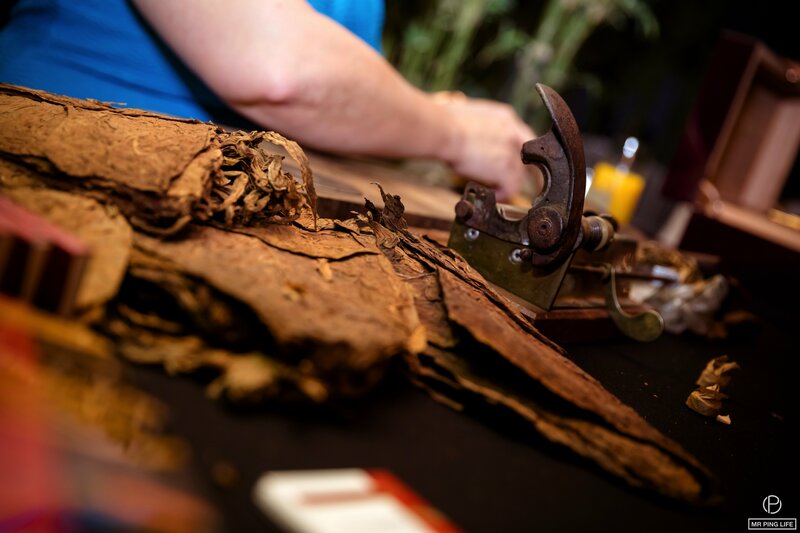 The event was livened by a dynamic trumpet and percussions duo, while famous Cuban cigar roller Virginia offered guests an all-authentic cigar rolling experience by creating cigars live from tobacco leaves in front of them. 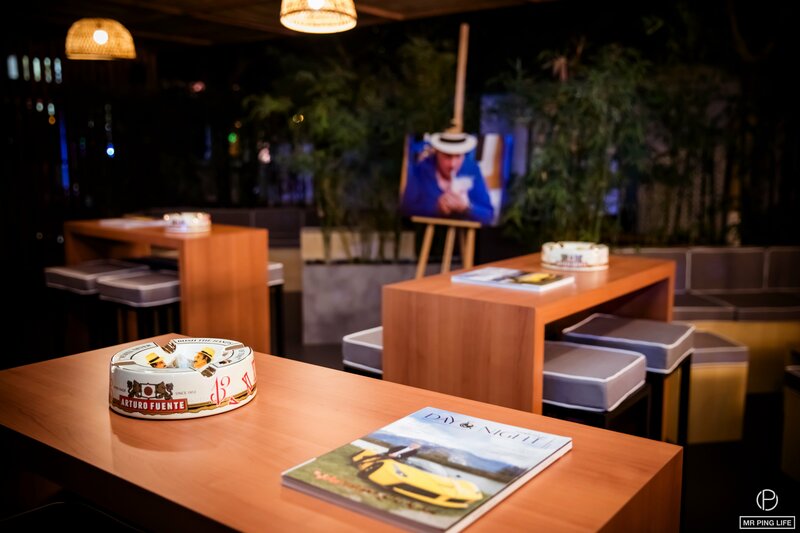 The good mood and joie de vivre took over, and attendees were transported straight into a fusion of Switzerland -through fine watchmaking- and the Dominican Republic -with the incomparable Fuente cigars. 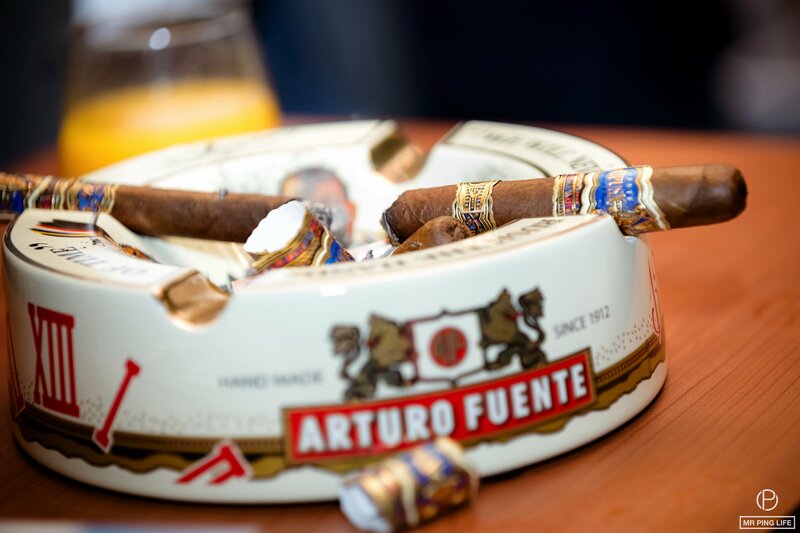 “Having had the pleasure of seeing the new Fuente Limited Edition with Ricardo Guadalupe and Carlos Fuente Jr. during the recent Fuente Tour in Asia, I couldn’t wait to see guests’ reactions to this unique collection that celebrates so many shared passions,” said Jean Ghalo, Founder of Mr. Ping Life. 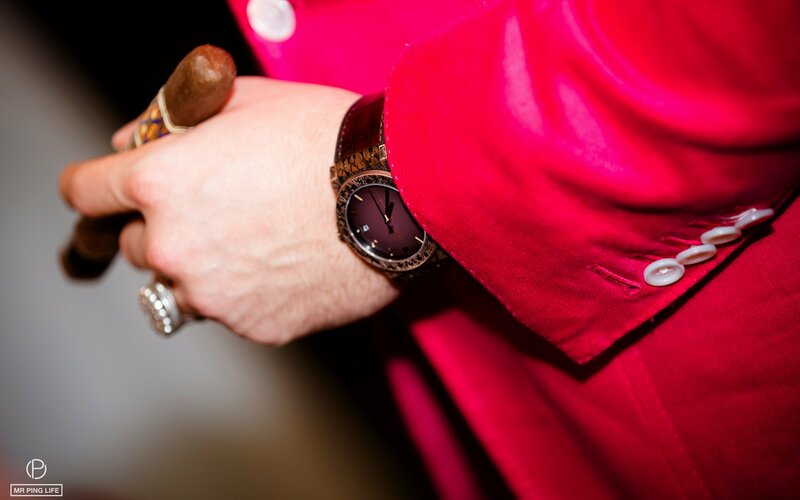 As described by CEO of Hublot Ricardo Guadalupe, the new limited edition of the emblematic Classic Fusion model “is a tribute to the workmanship, a celebration of human spirit, to the precision and finesse necessary to produce excellent cigars and watchmaking.” Paying tribute to the Fuente house, the case, bezel and crown of the three limited editions are finely engraved respectively with a drawing of tobacco leaves; a motif reminiscent of the earthenware tiles adorning the floors of Havana’s old colonial houses and incorporating the letter X, emblem of the Fuente family. 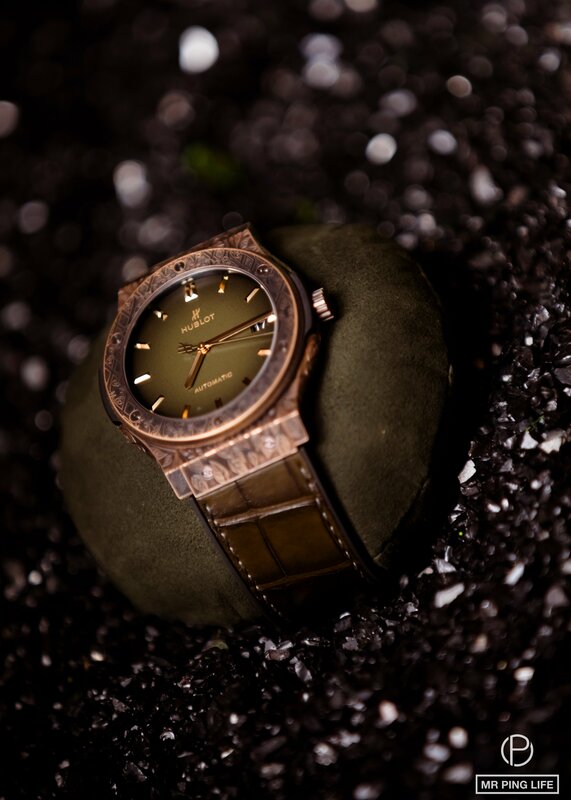 The bronze version of the limited edition uses the fine alloy whose reflections evolve over time, beautifully matching the tone of the green strap and dial. With its famous Classic Fusion 45mm diameter case, the King Gold model boasts a unique alloy combining gold and ceramic, developed fully by Hublot. 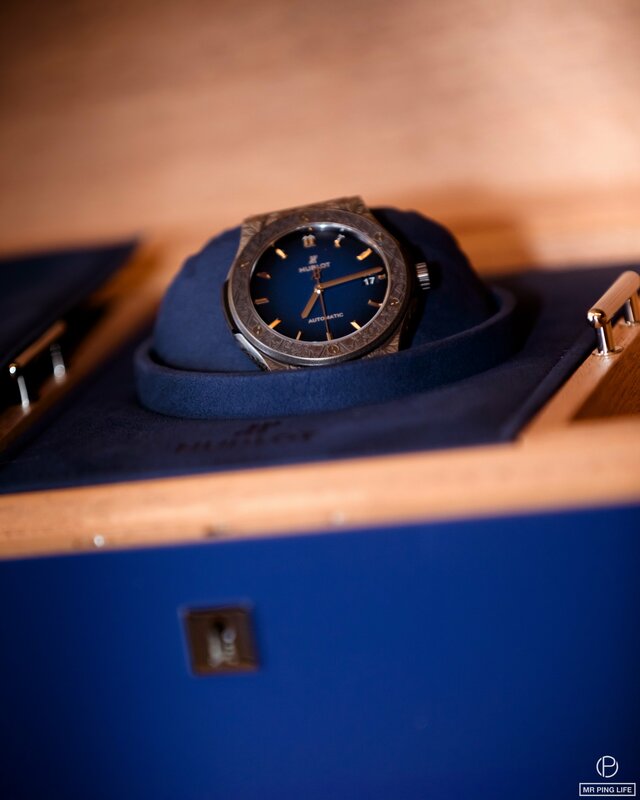 The brushed titanium variation with its sublime livery features the same fine chasings as its King Gold counterpart and a blue tint for its dial and strap. 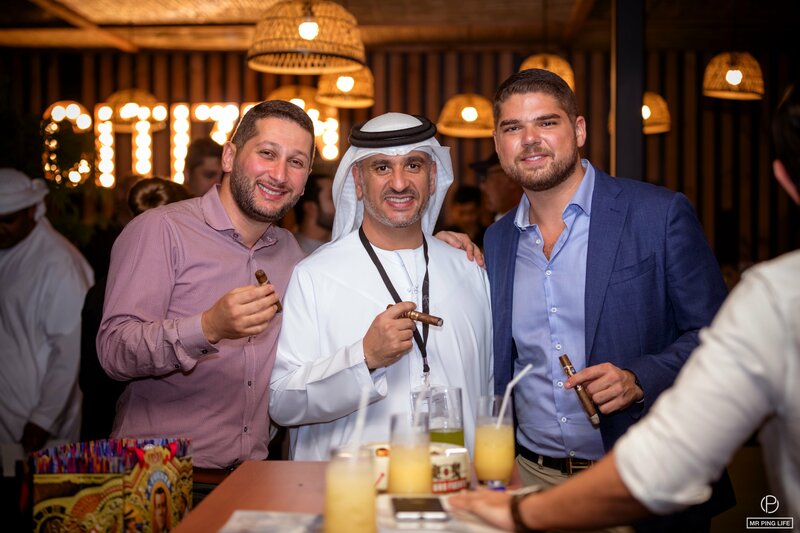 It was a great way to launch our Mr. Ping Life Cigar World Tour Dubai Watch Week Edition! 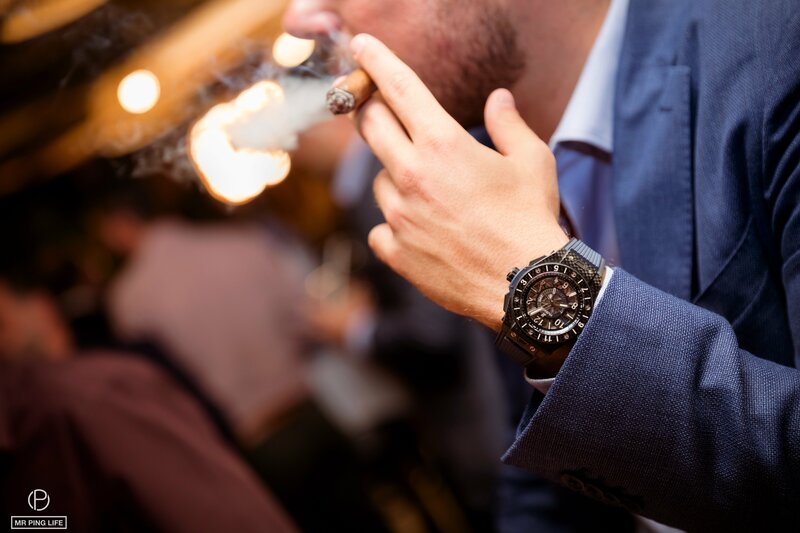 Good friends, a fine smoke, unique watches, happy music, unforgettable memories… And that was only the start! 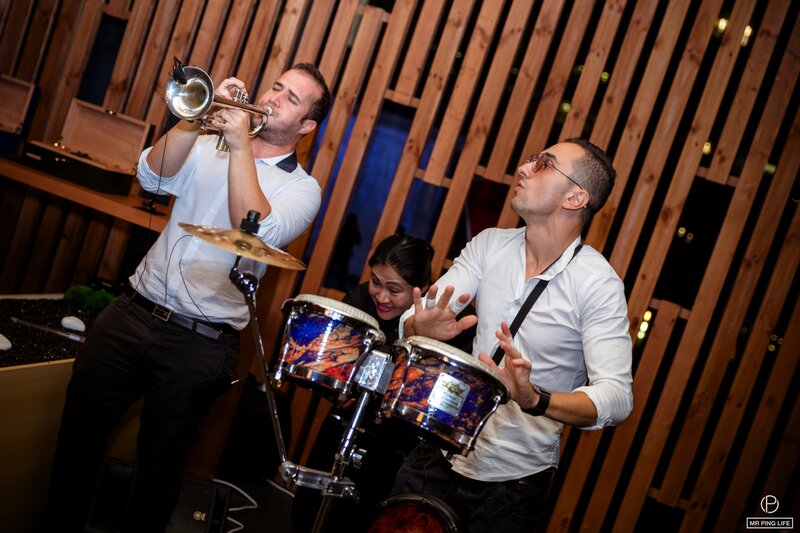 Note: All event concepts and production are property & copyright of MRPINGLIFE and Jean Ghalo & Friends. 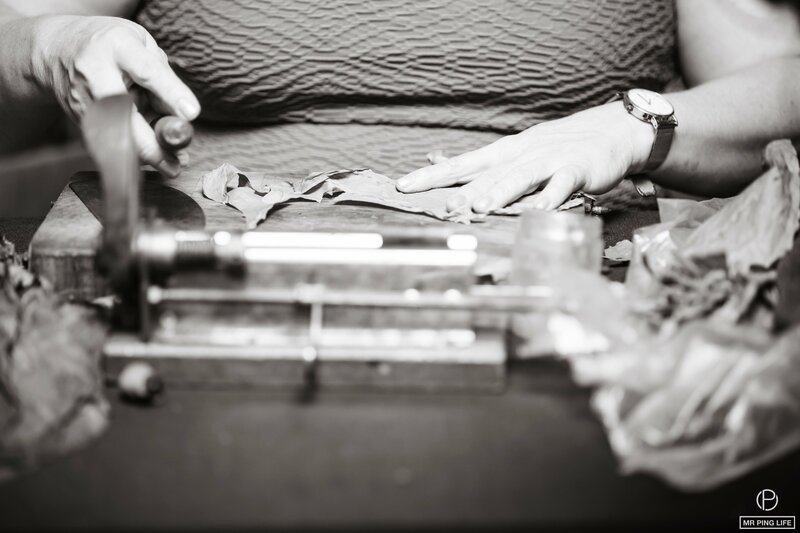 Reproduction or utilization of photos without approval not permitted. Next Post The Classic Jaguar E-Type Goes Electric!